Romantics, eat your heart out! 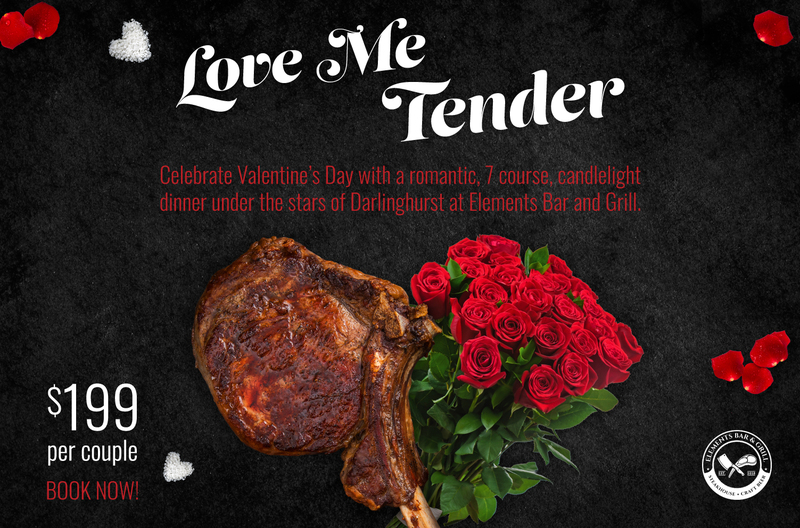 Celebrate Valentine's Day with a romantic, 7 course candlelight dinner under the stars of Darlinghurst at Elements Bar and Grill. Alcohol is not included and a minimum of 2 hours is required for this menu.